GE Appliances, a Haier company, has made significant investments in new technology, expanded its U.S. manufacturing operations and distribution network, and has added world-class talent as part of its goal to become the leading appliance company in the U.S. Most recently, the Louisville-based manufacturer appointed Antonio Boadas to the role of Chief Communications Officer. Boadas joins GE Appliances after 16 years in communications leadership roles at Procter & Gamble. 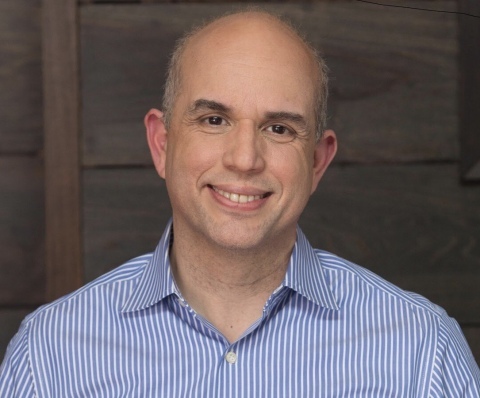 "Antonio is a proven communications professional who comes to us with an extensive portfolio of successes in global corporate communications, brand building, citizenship, public affairs and organizational development," said Kevin Nolan, president and CEO, GE Appliances. "We look forward to Antonio applying his expertise as we shape our business for future growth." Boadas most recently served as Director of Global Communications at Procter & Gamble, where he was responsible for operations and development of the company's communications organization. During his tenure there, he also led external relations for Latin America and communications for India, the Middle East and Africa. Boadas originates from Venezuela and began his career as a newspaper reporter and magazine editor, making his first steps into the corporate world at Philip Morris as Public Affairs Manager. In his new role, Boadas will play a strategic role in the continued transformation of GE Appliances by building and protecting the reputation of the business and its brands to become the most trusted and respected company in the U.S.
"We have ambitious investment plans to accelerate our Internet of Things leadership with a go-to-market strategy that puts owner experience at the center of everything we do," said Nolan. "Antonio will be instrumental in helping us achieve our goals through strategic communications and his proven abilities to lead teams and build strong, sustainable brands." Boadas succeeds 16-year veteran Deborah Wexler who is stepping down Aug. 31. He will be based at Appliance Park in Louisville and will report directly to Kevin Nolan. GE Appliances, a Haier company, creates "good things, for life" through our passion for great appliances and the happiness they can bring to every household. With the Monogram®, Café™, GE Profile™, GE™, Haier and Hotpoint brands, owners have more choices for making their kitchens and homes amazing each day. Our products include refrigerators, freezers, cooking products, dishwashers, washers, dryers, air conditioners and water filtration systems. For more information, visit www.geappliances.com/our-company.